Mollichaff Alfalfa Oil is made from pure alfalfa with a dressing of soya oil. A rich source of digestible fibre and high quality protein. 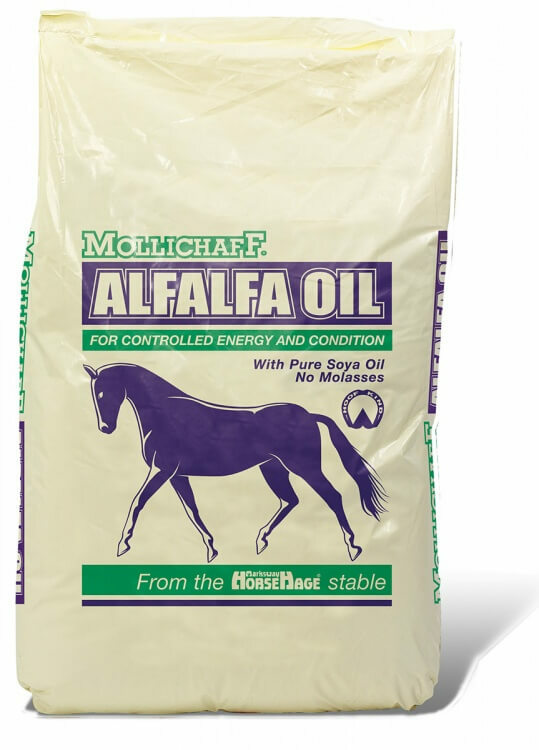 Mollichaff Alfalfa Oil contains an energy level that is similar to that of a medium energy hard feed and is ideal for horses and ponies that require increased condition or energy. It is high in fibre and ‘slow-release’ energy. As the energy comes from fibre, it offers a far more natural feed to replace cereals in the diet and will not cause the fizziness or excitability associated with grains. Suitable for all types or horses and ponies, including those prone to laminitis. Alfalfa (lucerne) is a legume and is a rich source of highly digestible fibre. Mollichaff Alfalfa Oil is made from UK-grown pure alfalfa, including the nutrient-rich leaf as well as the stalk of the plant and is dust extracted. Alfalfa is a great source of vitamins, minerals and anti-oxidants including vitamin E and selenium. The high palatability of Mollichaff Alfalfa Oil makes it a fantastic fibre source, even for fussy feeders. 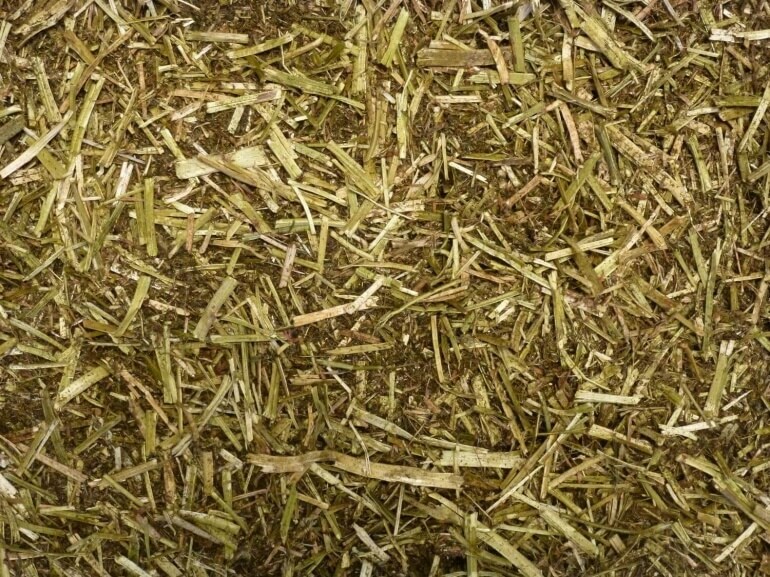 Alfalfa is suitable to feed to horses and ponies prone to laminitis as it contains a sugar level considerably lower than grass. Mollichaff Alfalfa Oil is available in 15kg bags.